Marvel keeps making really great decisions. 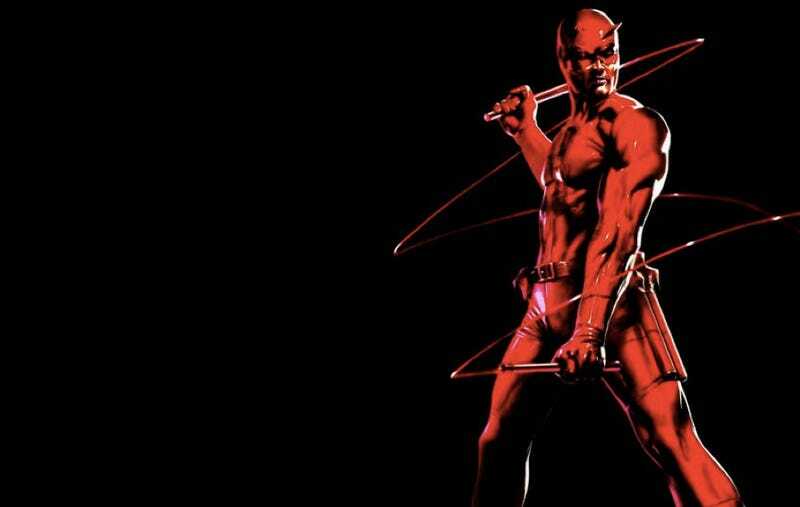 Drew Goddard is currently in talks to write the new Daredevil series for Netflix. Seriously whatever he wants, JUST GIVE IT TO HIM. Last week news dropped that Marvel will be making four new superhero series for Netflix. Now The Wrap is reporting that Cabin in the Woods director Goddard is currently in talks to pen the Daredevil one. Honestly we're so in love with this idea we may pitch a fit on the grocery store floor if this doesn't go through. Just think of the quippy one-liners and freedom from studio nitpicking that Netflix would offer up a mind like Goddard? Seriously the man is completely demented in all the best possible ways — just read what he wrote on io9 during our live chat. "You're talking to a guy who had quotes from Daredevil painted on his wall while growing up... Even when I was 18, I still had the blood red door with the, 'I have shown him that a man without hope is a man without fear.'" Please, please, please make it so.